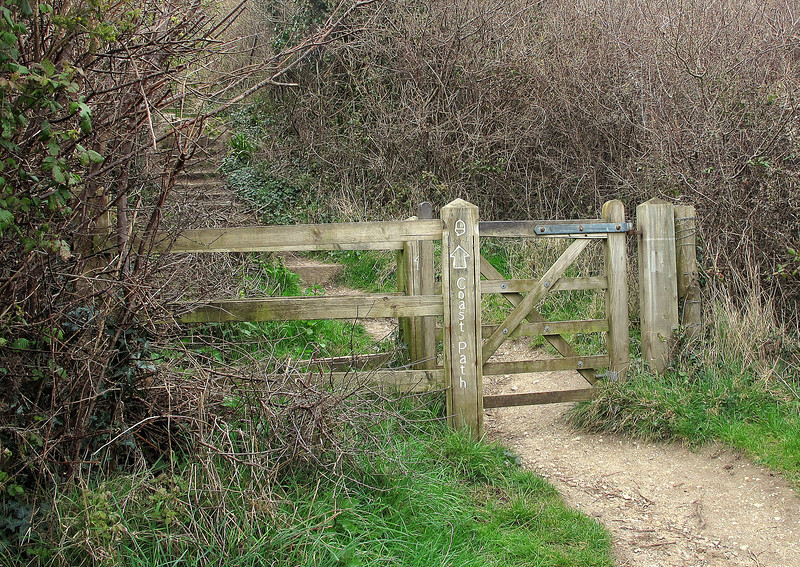 These are a few pictures taken on a fairly gentle stroll round Studland and Swanage on 26 March 2014. The weather was overcast but fairly mild, dry and with light breezes. 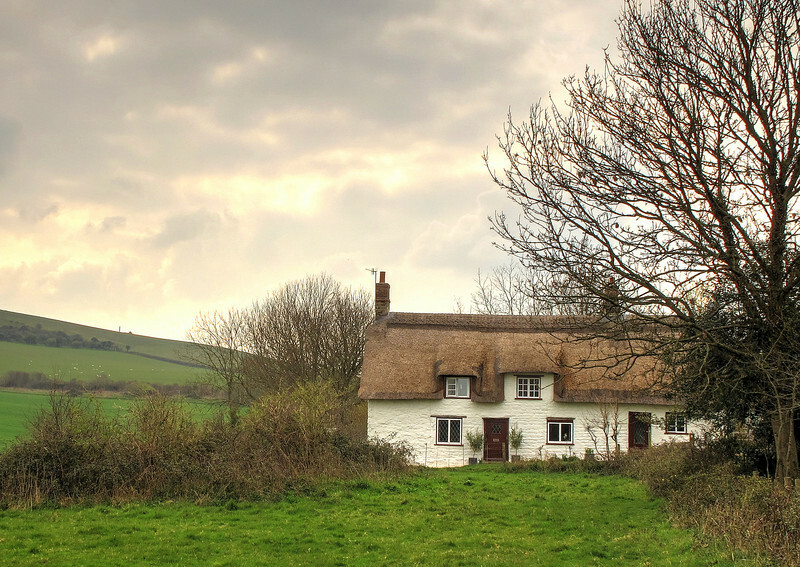 A cottage at Woodhouse, Studland. 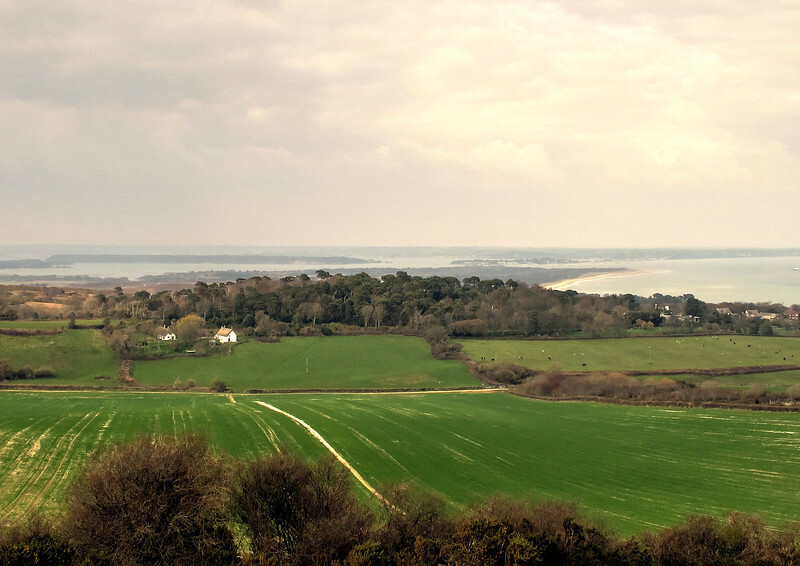 The view back showing Poole harbour with Brownsea island. 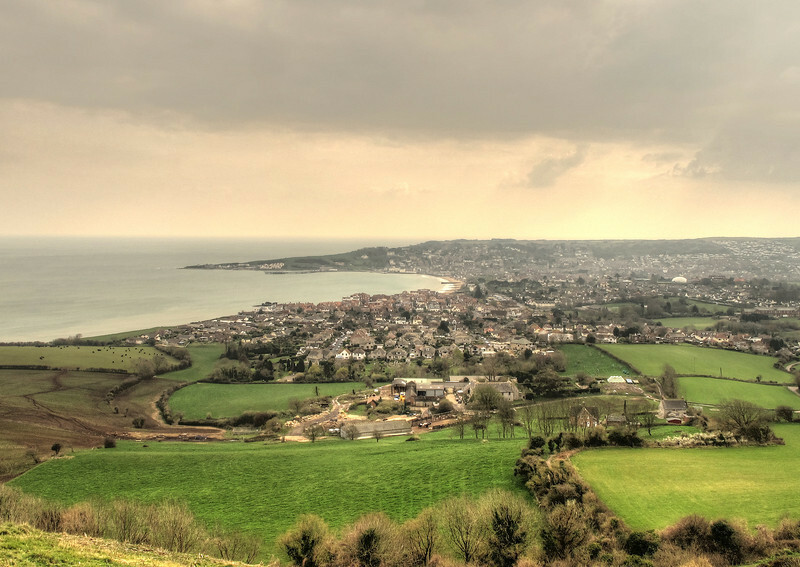 Swanage. 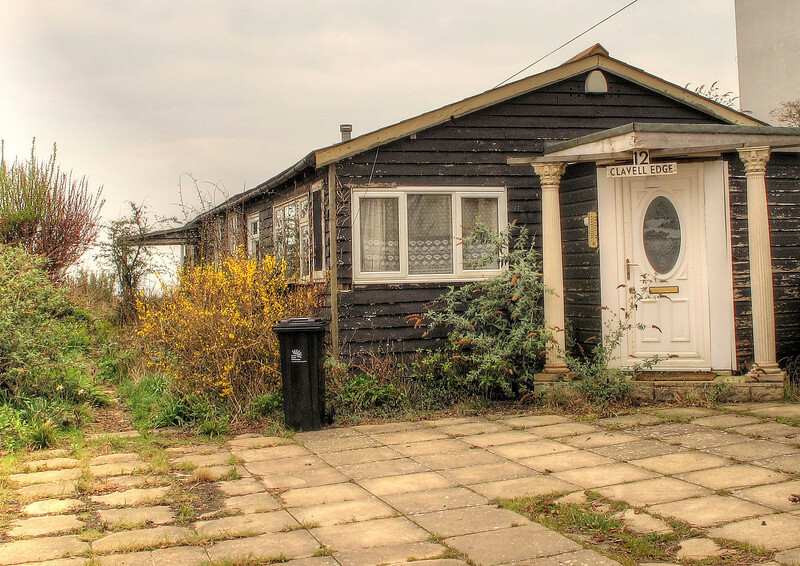 An old wooden bungalow with very ornate classical columns holding up the porch. 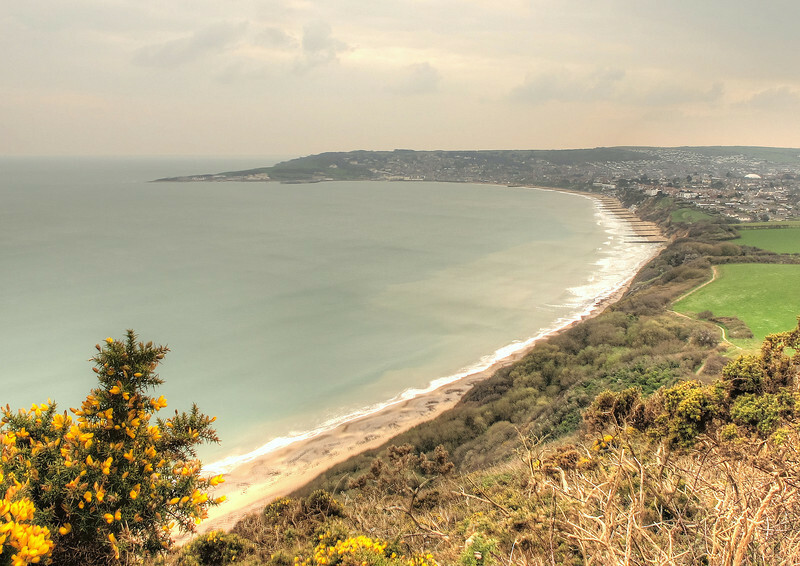 The sweep of Swanage Bay from the coast path to Studland. handfast point. 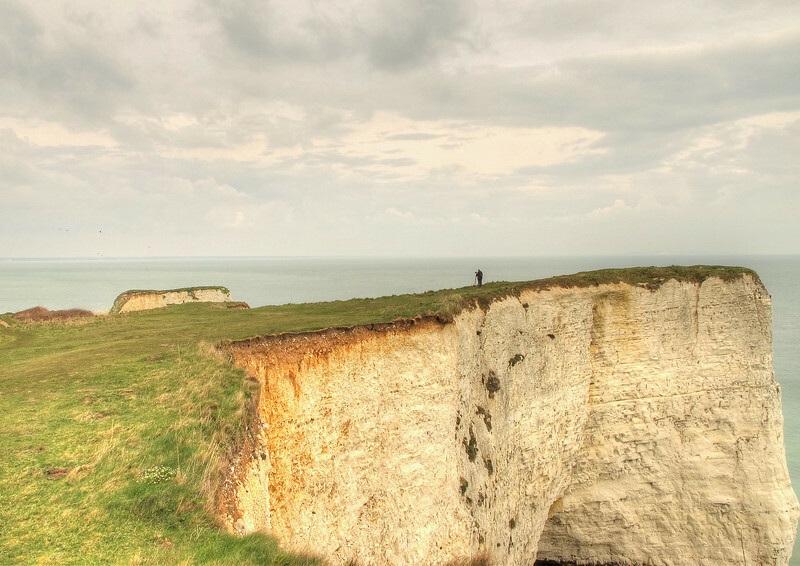 Recent collapse of the cliff is evident by the fresh look of the chalk near the camera. 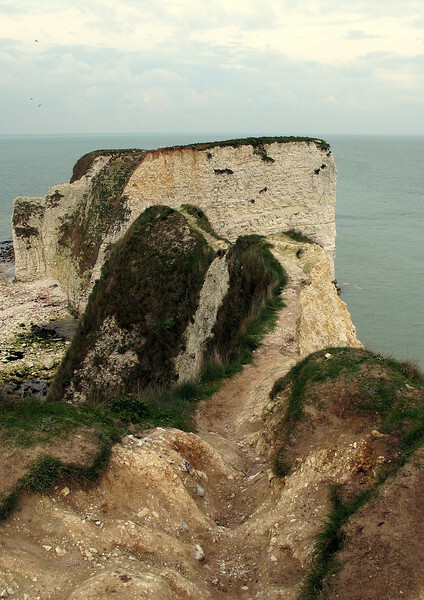 The path to the end of this promontory is becoming ever narrower due to erosion and it won't be long before it collapses into the cavern below to form another stack in the Old Harry Rocks group.